Rip successfully navigates the Waverider to the remaining Legends. Sneaking into STAR Labs, they successfully steal back Ray’s ATOM suit to restore Rip and the Waverider to their original size. Together, they plan to go back to WWI to retrieve the Spear, even though doing so would erase themselves from existence. 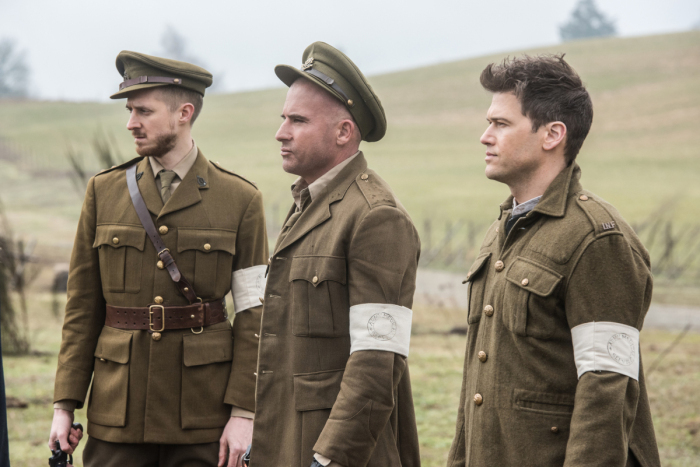 Unfortunately, Thawne follows them back, leading to him killing Ray as the rest of the team attempt to steal back the Spear of Destiny from their past selves. This proves to be more difficult as their past selves discover the trick, ultimately causing a timequake. Despite the risk, the two Legend teams face off against the Legion with many members dying in the fight. Before they escape, the team is soon surrounded by an army of Eobard Thawnes who begin killing everyone. In the midst of the chaos, Sara is tempted to use the Spear to rewrite reality. The Spear shows Sara a vision of being with her sister Laurel who offers her the chance to shape reality the way she wants, but Sara ultimately chooses the right thing and depowers the Spear before Thawne can take it. In the open, Thawne is finally caught and erased from existence by the Black Flash. Stopping the new reality erases the previous team from existence as well, leaving the remaining team to capture the Legion. They ultimately return the three to their original teams, erasing their memories of the previous events. Although Amaya understands her destiny in 1942, she chooses to stay on the Waverider with Nate. Meanwhile, Rip chooses to leave the team, believing the Waverider is in more capable hands with Sara as captain. As they fly to Aruba for a vacation, however, their effects on the past lead them to a devastated Los Angeles overrun by dinosaurs. Laurel Lance makes another appearance since season one. Agents of S.H.I.E.L.D. "What If..."
In the Framework without her powers, Daisy finds herself working with Ward and May in a ruling Hydra system while Simmons finds herself in the scrapping through the remains of a SHIELD academy. At the Triskelion, Daisy finds Vijay Nadeer being tortured for information after smuggling Terrigen, revealing to Daisy that Hydra took over after the Bahrain incident. Instead of killing the Inhuman girl, May rescued her and placed her in a school which killed several people in Boston. 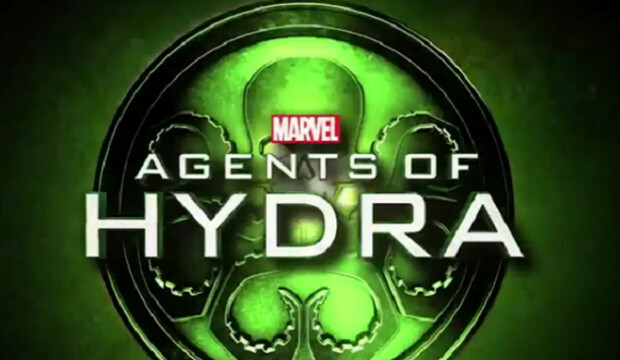 The crisis led to Hydra expanding its reach to quell the Inhuman threat. Fitz also works against this threat by programming surveillance and testing devices to find and torture Inhuman suspects. Simmons herself fights off the massive surveillance as she is suspected by carrying an old SHIELD I.D. from the academy. Fortunately, she escapes capture and attempts to locate Coulson. Sadly, Coulson remains a regular teacher who firmly believes in Hydra’s message to the point of watching a student be turned in for questioning. Simmons attempts to help him remember, but he refuses her statements as delusions. After the meeting, Daisy and Simmons reunite only to be confronted by Ward and incoming officers. However, Ward gets Simmons and Daisy away from the authorities, revealing himself to be a double agent to protect an Inhuman Skye from Hydra. In a safe spot, Daisy and Simmons attempt to escape, but their device fails, leaving them trapped in the Framework. 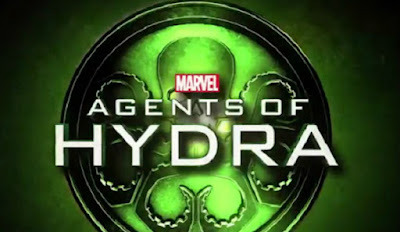 Meanwhile, Fitz reports the finding of a Hydra traitor to the director Madame Hydra, who appears to be a version of Aida, but she hides the mention of Simmons to him, revealing their own romantic relationship. In desperation, Daisy confronts Coulson on her own for a hint of recognition in this terrifying world. Against all odds, Coulson remembers her by name. The lie detector from the season one episode “The Only Light In The Darkness” makes an appearance. The newspaper articles Coulson has references former agent Felix Blake, Daisy’s father Cal, Coulson’s former love Audrey, and a red corvette. The TAHITI project makes another appearance by erasing Coulson’s previous experience as an agent.